Our 100% online DOT HAZMAT Training: Function Specific – Marking course helps employees involved with HAZMAT transportation and the use of HAZMAT labels to meet the training requirements for 49 CFR 172.704(a)(2)(i). Students will learn how to determine hazardous materials from HAZMAT markings, how to choose the proper HAZMAT markings, and determine when the markings are required. Our DOT HAZMAT Training Online: Function Specific – Marking course is designed for employees involved with hazardous materials transportation, such as shipment, carrying, or manufacture, and also involved in the use of hazardous materials labels. This course will help the student learn how to use hazardous materials markings to determine the hazardous material, how to choose the proper marking for the hazardous material, and determine in what situations HAZMAT markings are required. This training meets the requirements for 49 CFR 172.704(a)(2)(i). If you took our DOT HAZMAT Training: Basic General Awareness (4 Hours) course, this function-specific marking class will provide expanded training regarding marking. If you took our DOT HAZMAT Training: General Awareness/Function Specific (10 Hours) course, the content of this HAZMAT DOT Marking class was included. For information on DOT HAZMAT training requirements or the DOT HAZMAT training courses we offer, visit our DOT HAZMAT Training page. Designed by Certified Outreach Trainers, this DOT HAZMAT course includes up-to-date, high quality training created with your safety and learning as our top priority. The course features interactive training, which combines audio and visual elements for maximum retention. A downloadable student manual is provided for note-taking and student reference. The course is completed entirely online using a computer with an internet connection and is available 24/7. For your convenience, it can be completed over time, and your progress will be saved in our Online Training System (OTS) to the last section completed. Students are given 6 months to complete the course after enrollment. We are so certain you will be satisfied with your experience, that we offer a 100% Money Back Guarantee*. Bulk and non-bulk packages | What is a marking? | Features of markings | Who marks packages? | Abbreviations | Prohibited markings | Marking hazardous wastes. 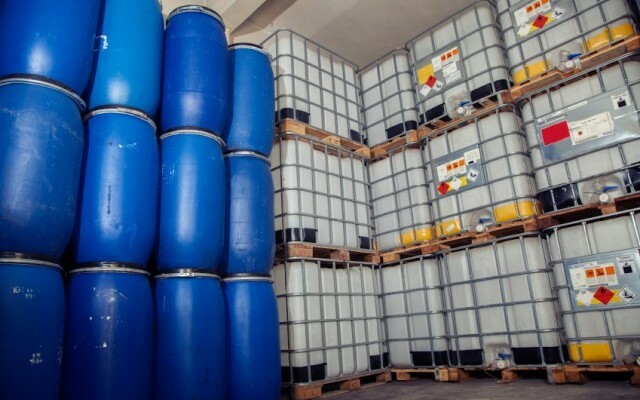 Non-bulk labeling requirements | Non-odorized liquid petroleum | Orientation | Large quantities of one material | Limited quantities | ORM-D | Marine pollutants | Hazardous substances. Bulk marking requirements | ID number location | Marking size | Fumigant markings | Marine pollutant markings | Special permit markings. Bulk ID number markings | Where ID numbers are not necessary | Replacing missing ID number markings. Radioactive materials | Poisonous materials | Explosive materials | Infectious substances | Biohazards | Elevated temperatures | Keep away from heat. Portable tanks | Cargo tanks | Proper shipping name | ID number | QT and NQT | Emergency shutoff | Tank cars and multi-unit tank car tanks | Other types of bulk packaging. The objective of this DOT HAZMAT Marking course is to meet the Federal Department of Transportation (DOT) training requirements for 49 CFR 172.704(a)(2)(i). This HAZMAT DOT Marking course consists of 6 sections, which are fully narrated and interactive. Knowledge checks and exercises within each section help the student retain the knowledge needed for the final exam. This DOT HAZMAT Training online Marking course was designed by Certified Outreach Trainers and meets the requirements for 49 CFR 172.704(a)(2)(i). Once the course is completed, you will immediately be able to download, save or print your DOT HAZMAT Certificate of Course Completion which is provided in PDF format within our Online Training System (OTS). We’ll also mail you a PVC credit card style Wallet ID Card with optional photo, showing training course completion. The card will be mailed within 24 hours of course completion.